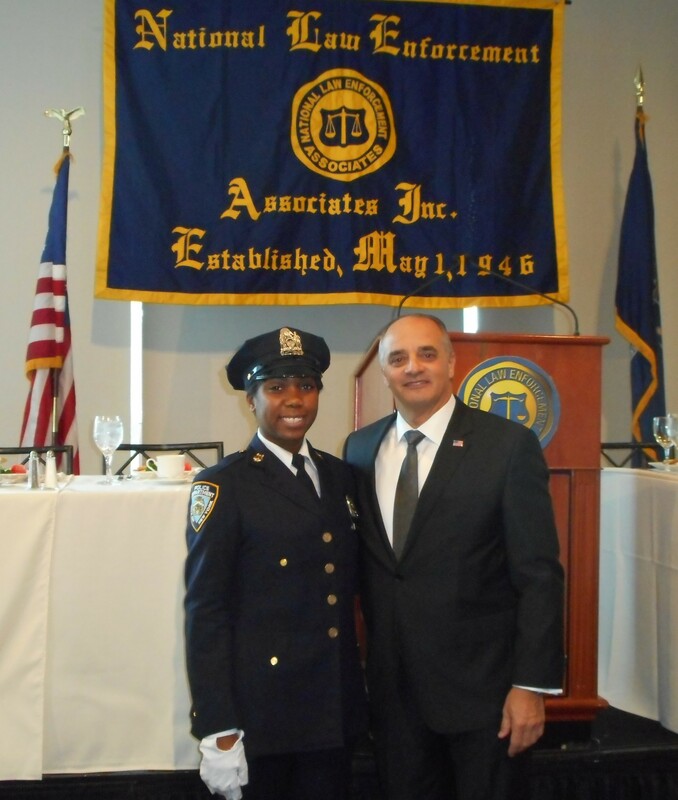 The NYPD graduation ceremony this past Monday gives nearly 1,000 police recruits the call to be ethical protectors for New York City. During controversial times, these new police officers must respond to societal diseases of violence and callousness. New York City’s new officers, along with all their NYPD colleagues, can inspire the nation by exemplifying courtesy, respect, and community. The order of the day and throughout their careers is to reflect character, ethics, and leadership as their moral compass. The NYPD is under a microscope and the eyes of the nation are watching. Police officers must respond to these challenges by polishing their shields with courtesy, professionalism, and respect, as enshrined on each NYPD vehicle. These virtues—that have the power to transform society by building bridges were evident on Saturday, Dec. 27. The funeral, attended by an estimated 25,000 was a sacrosanct event of the highest order. The sea of blue that silently and prayerfully honored their brother officer was an inspiration to the nation and the dignity of policing. But a small group of about 200 officers brought disgrace upon themselves and their profession. By turning their backs on the mayor while he spoke, they flagrantly violated respect, the most basic principle of ethics. This was particularly contemptuous since expressed at the funeral of a slain brother officer and before his family. Being laid to rest is a time for respect. It must never be an occasion for exploitation, contempt, and disrespect toward anyone. Police officers must take the high ground and de-escalate problems, not intensify them. 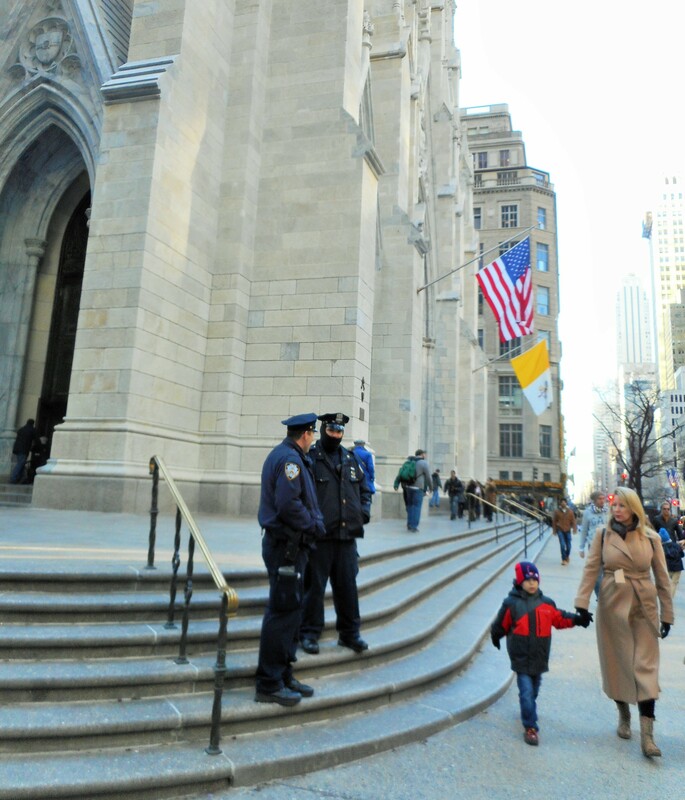 Those who honored the solemnity of the occasion dignified the honor of the NYPD and law enforcement and demonstrated true respect for the memory of Officer Ramos and his family. These officers refrained from attempting to politically exploit the sacredness of the funeral despite frustrations with the mayor. The rift between the New York City mayor and the police department is no secret to anyone. But there is always a way to do the right thing and to disagree at the right time and place without being disagreeable. Meetings with the mayor and police unions this week are a positive step toward reconciliation. The eyes of America are indeed upon the NYPD. A sincere effort for dialogue and ethical principles must be intensified by all parties. 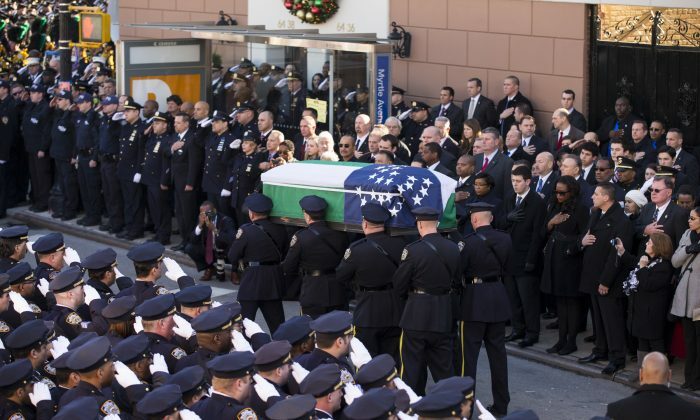 At the upcoming funeral of Officer Wenjian Liu on Sunday, Jan. 4, ethical behavior, not political grandstanding, must be the heartbeat of all attendees. Officer Liu and his widow and family, traveling here from as far as China, deserve dignity, respect, and courtesy from every person attending his funeral. Officer Ramos and his family deserved the same. It is time to make things right. Protests throughout the nation in response to recent incidents in Ferguson and Staten Island are a wake-up call. Policing is an honorable profession but the badge does not guarantee respect, it must be earned and maintained by ethical behavior. Police–community relations is the heart of community life. America must rise to the occasion through authentic, respectful actions, never through dishonorable behavior that only builds walls of distrust and contempt.